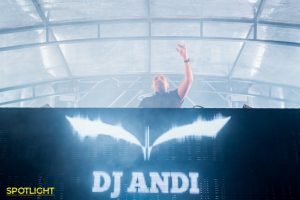 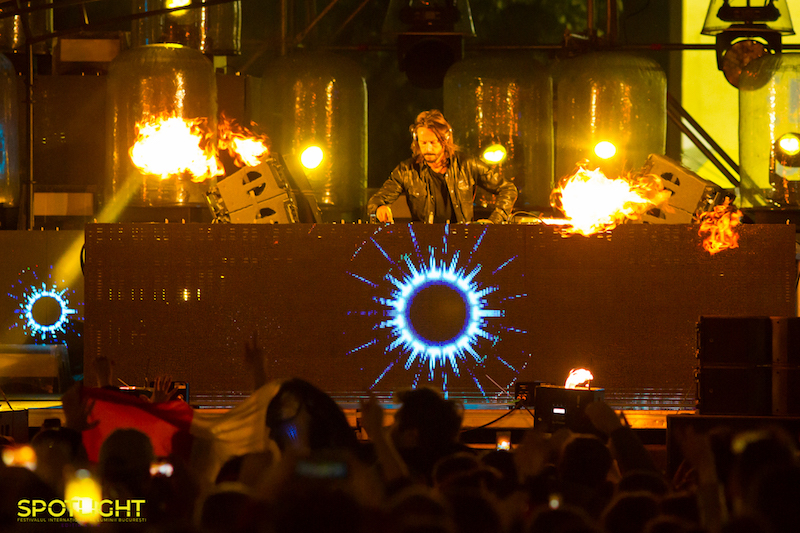 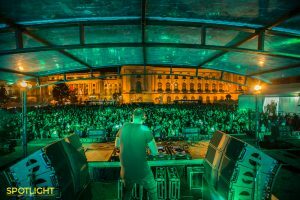 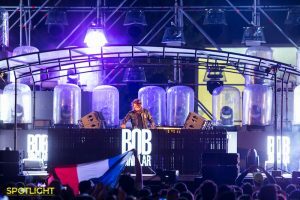 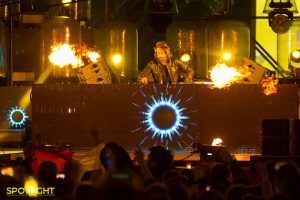 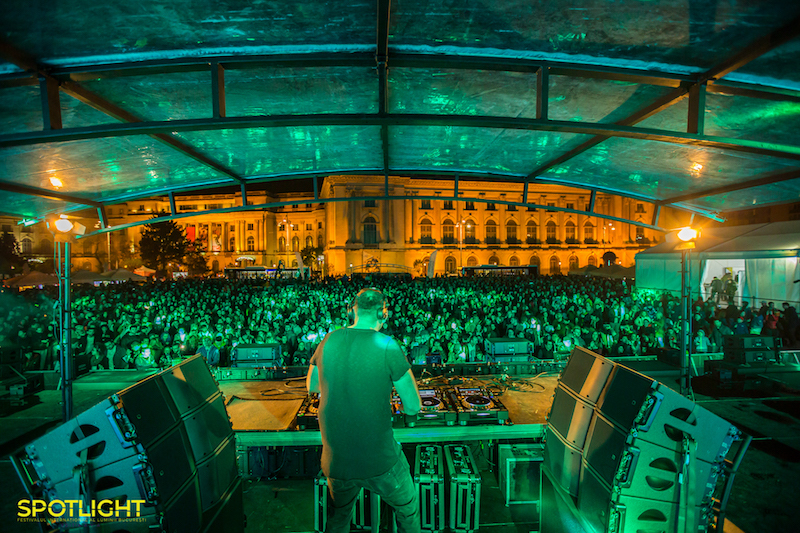 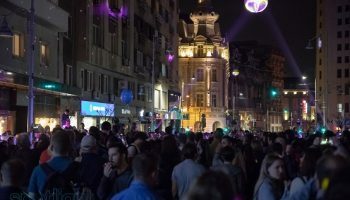 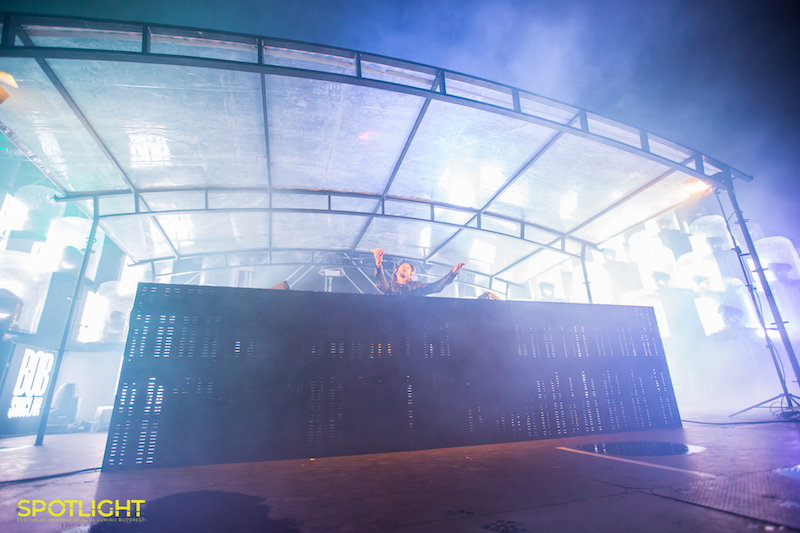 In the opening, on Thursday, the 18th of April, at 9 p.m., famous French artist Bob Sinclair will hold a concert in George Enescu Square, preceded by a warm-up with DJ ANDI, at 8.30 p.m. 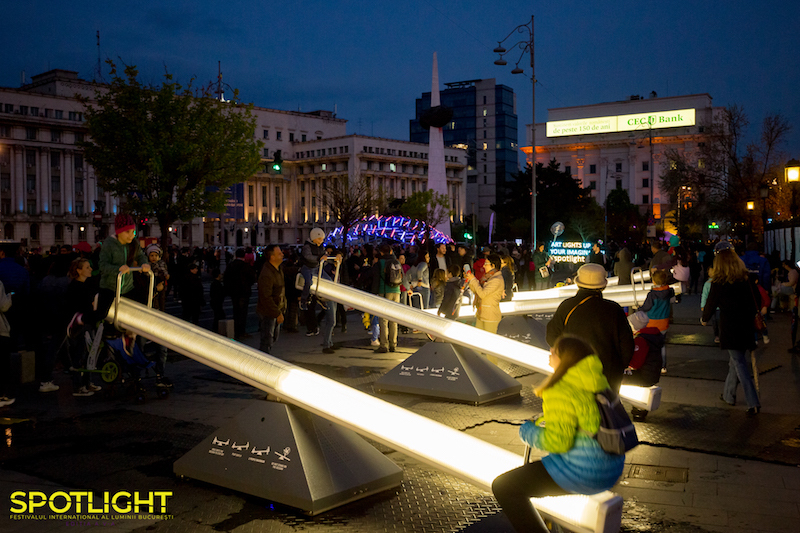 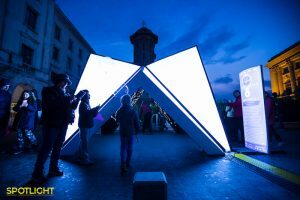 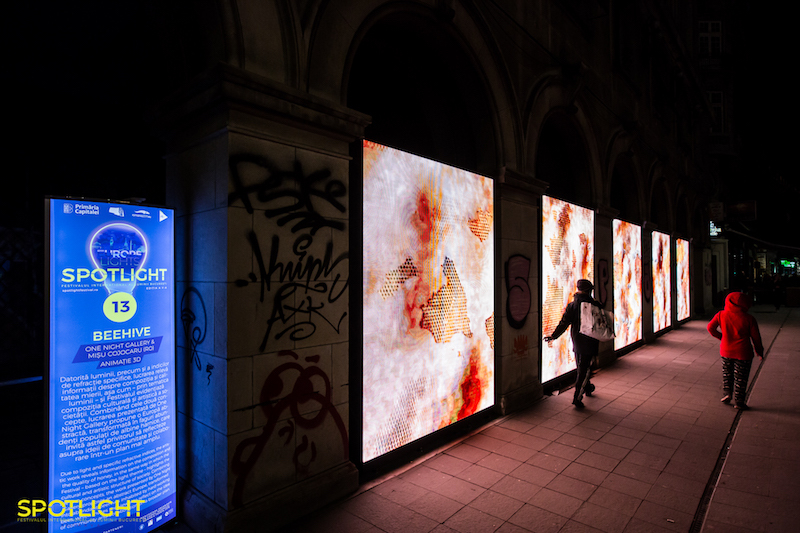 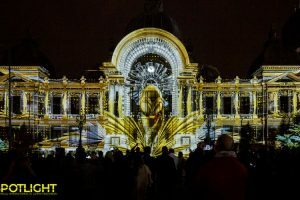 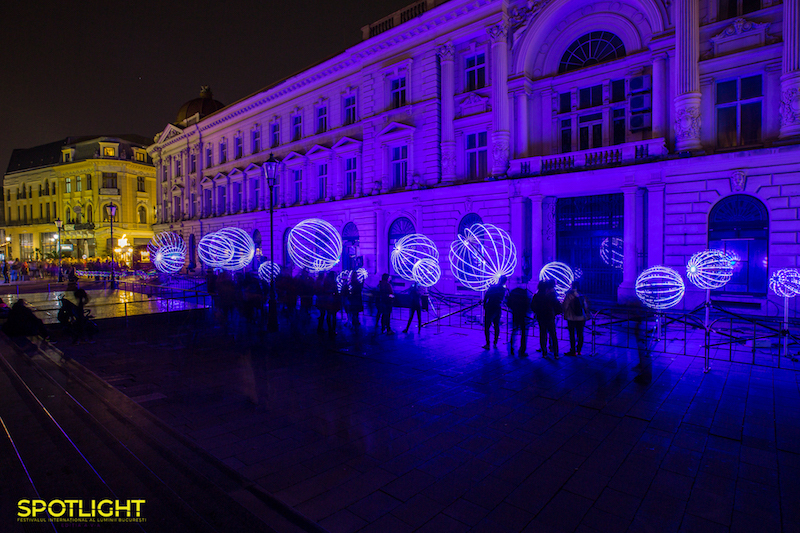 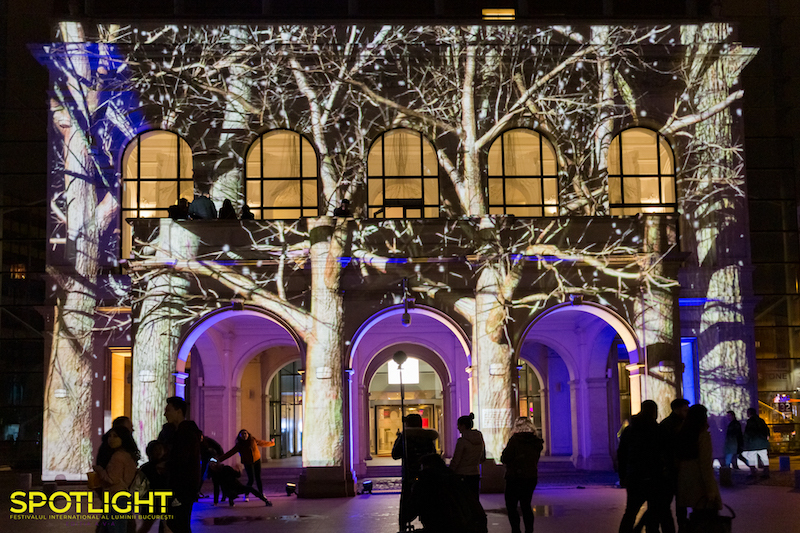 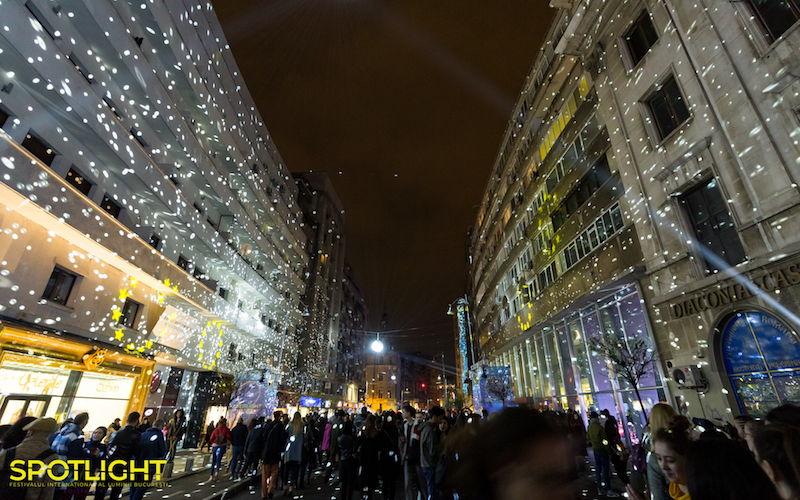 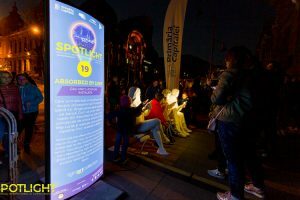 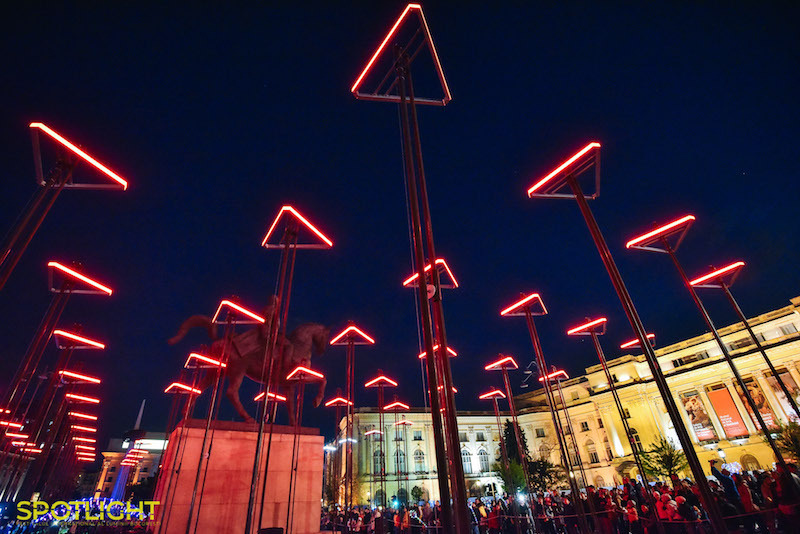 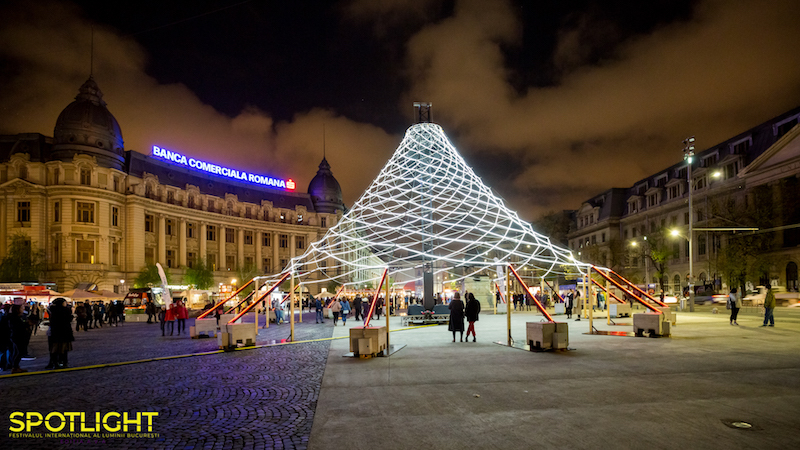 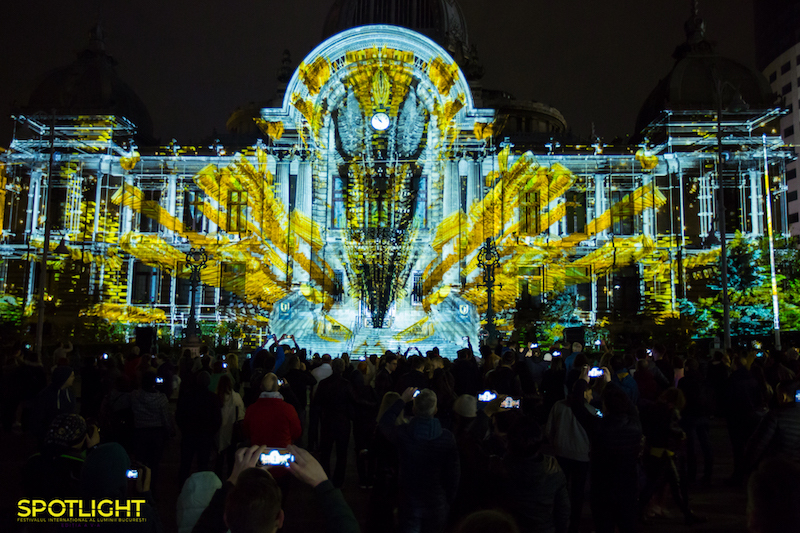 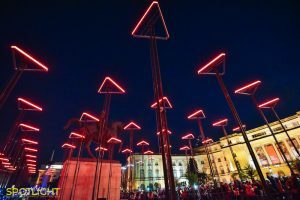 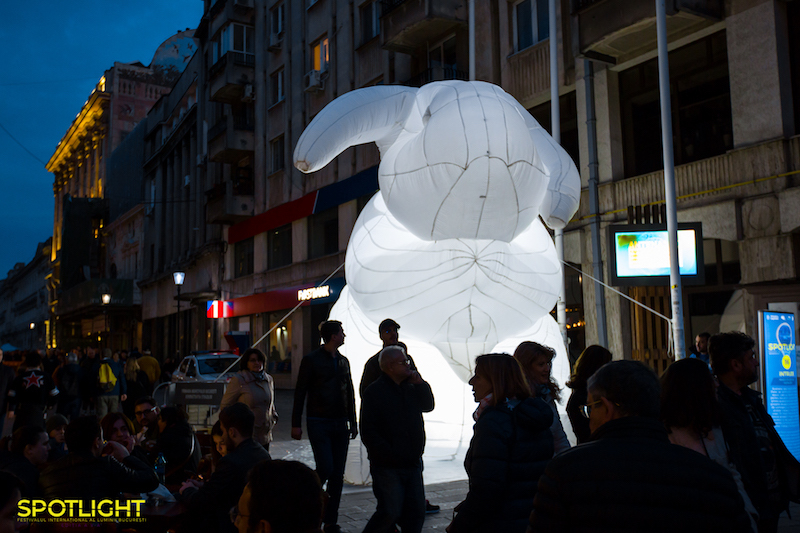 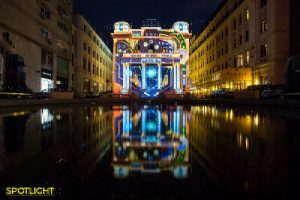 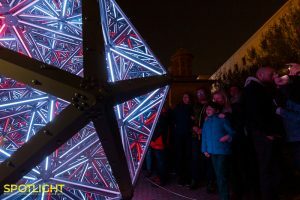 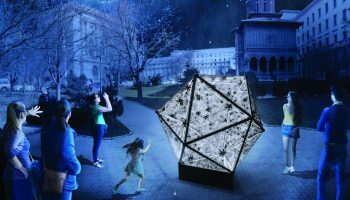 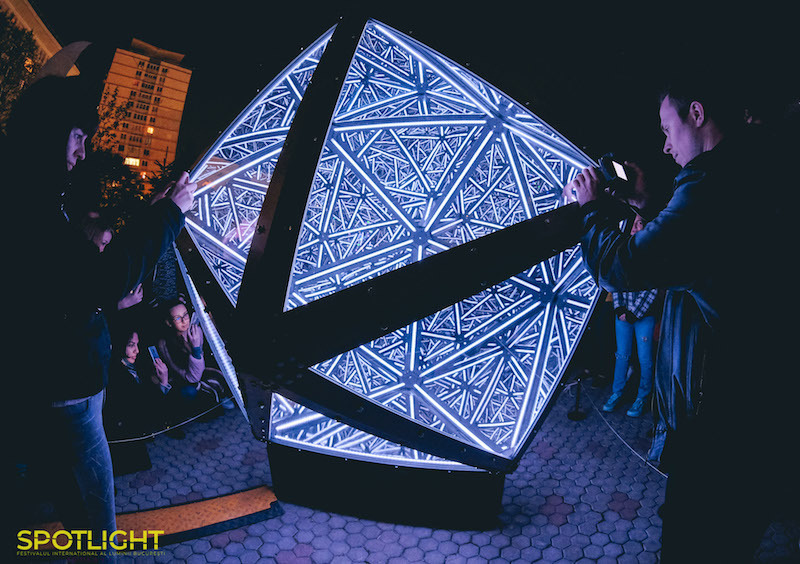 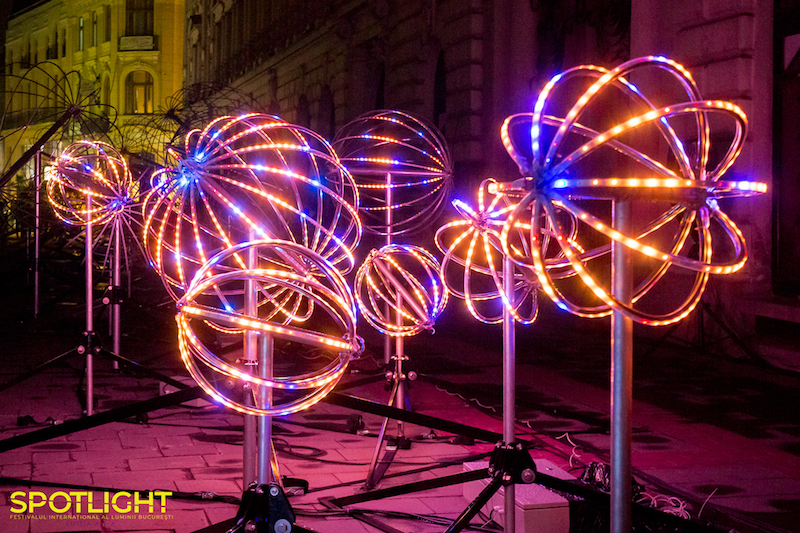 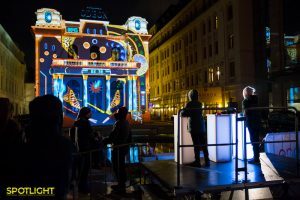 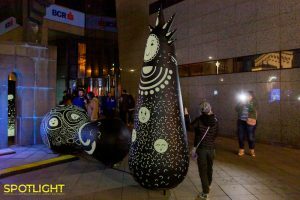 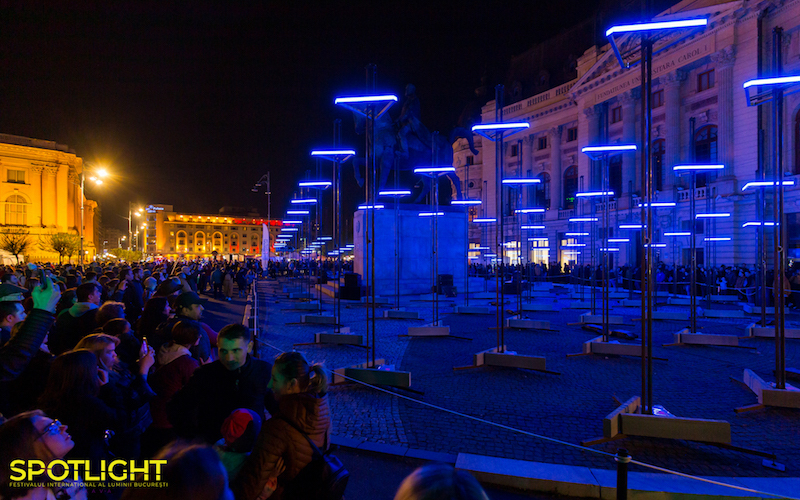 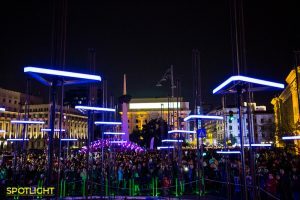 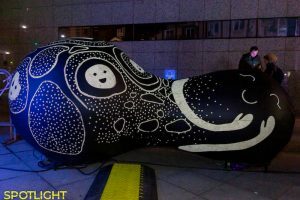 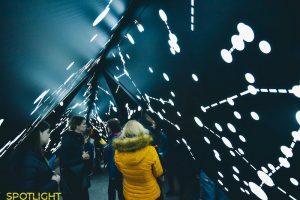 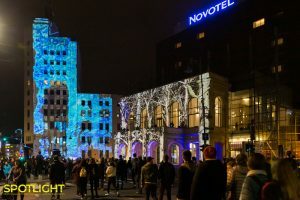 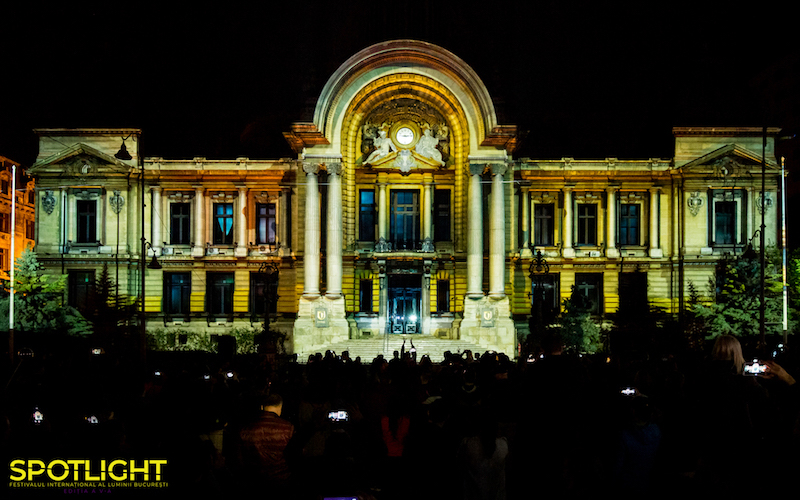 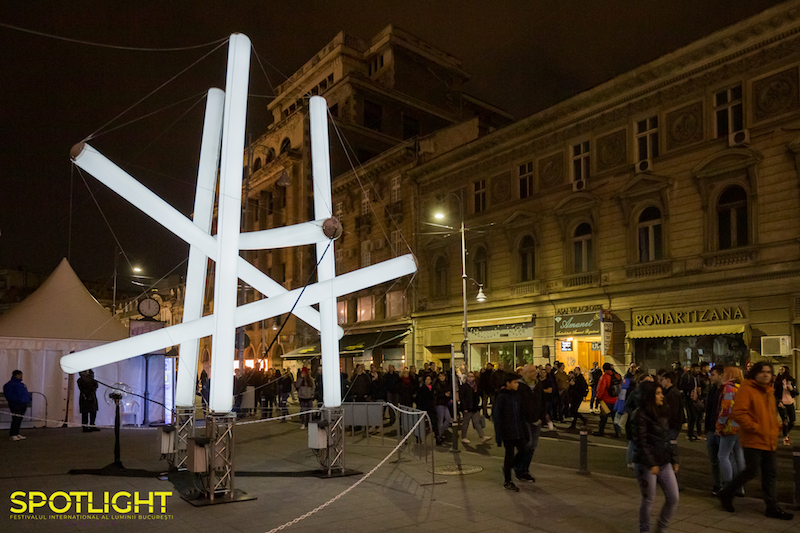 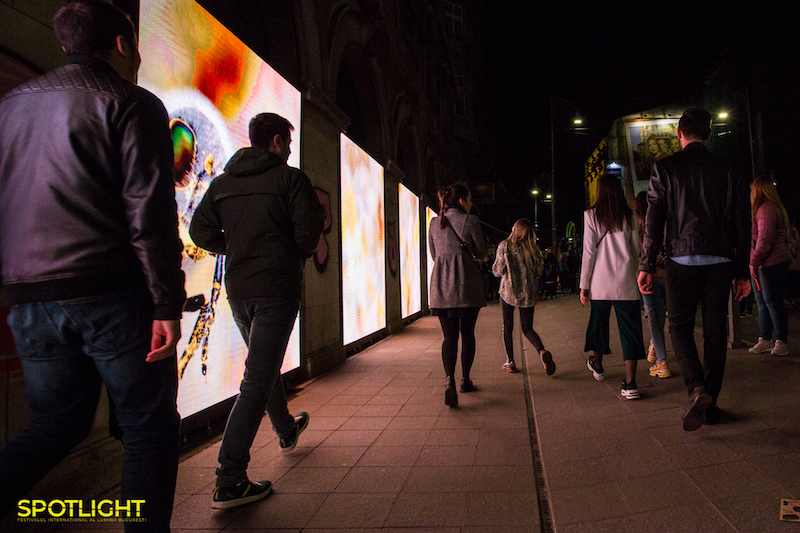 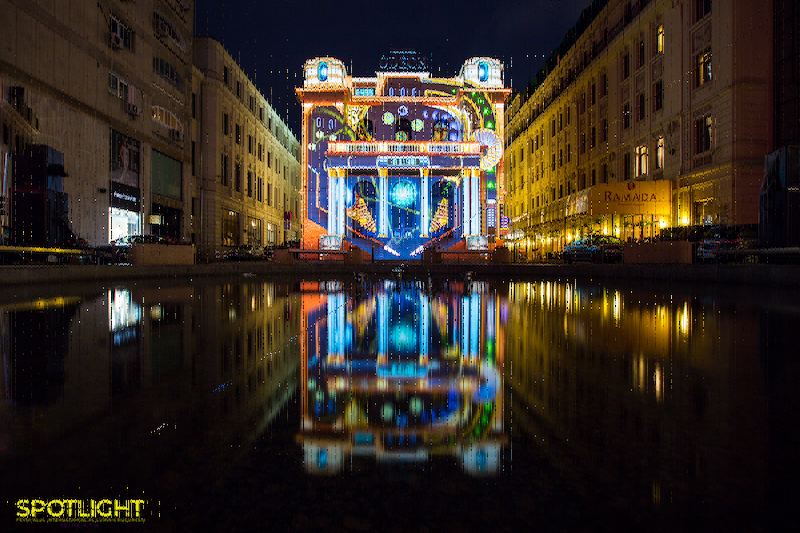 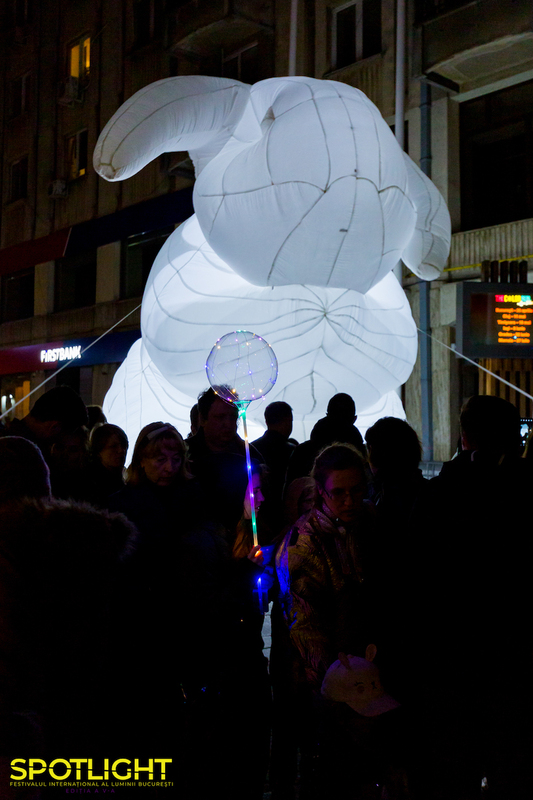 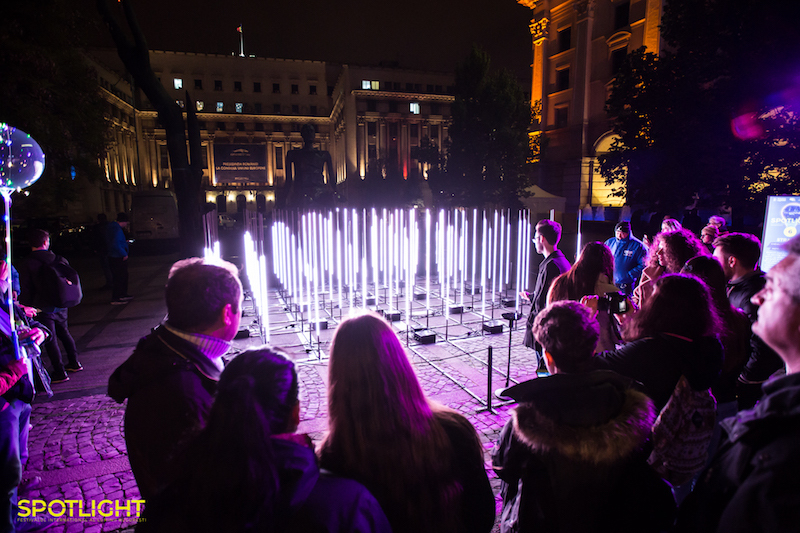 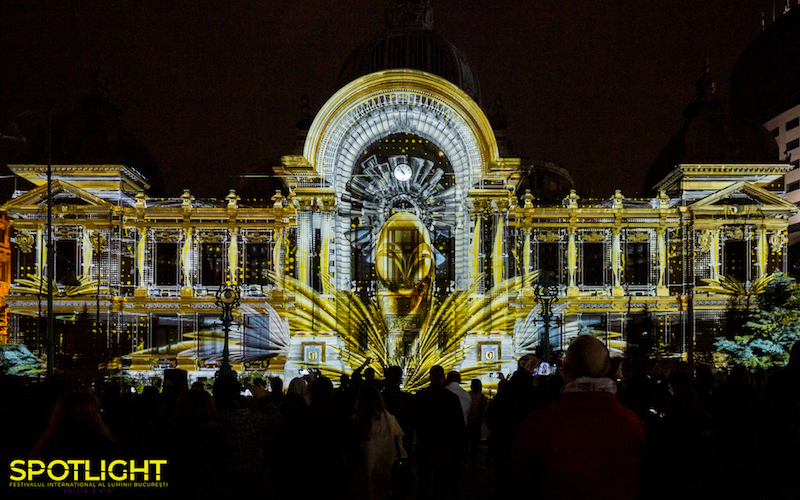 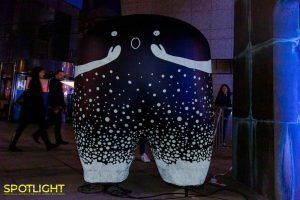 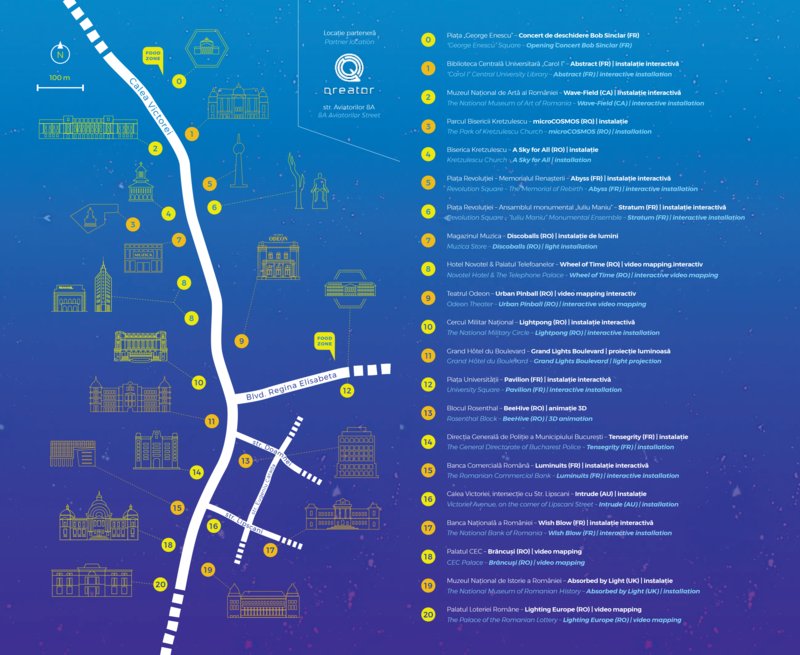 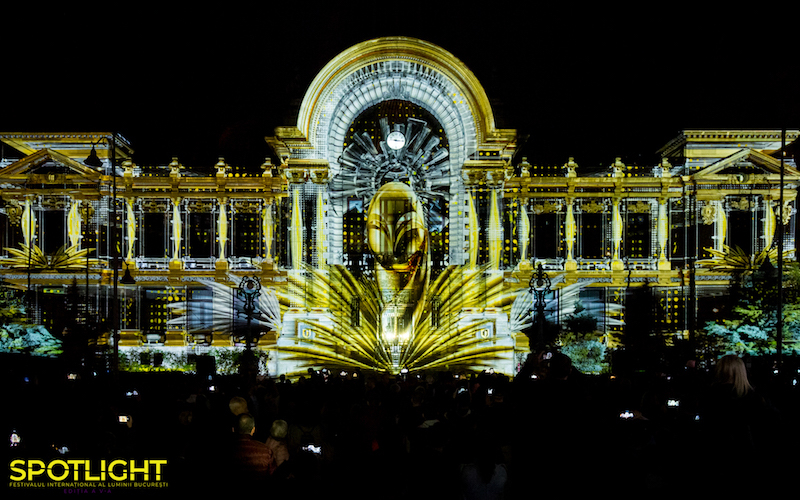 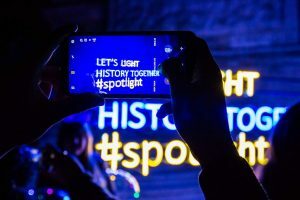 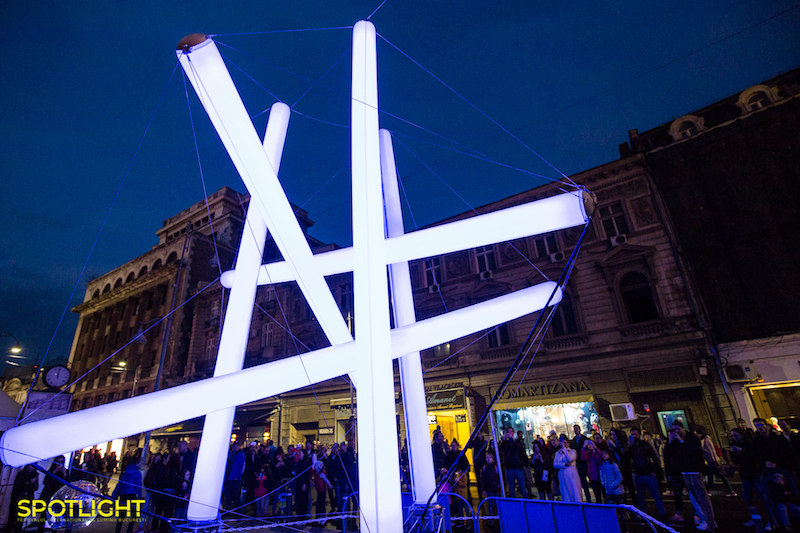 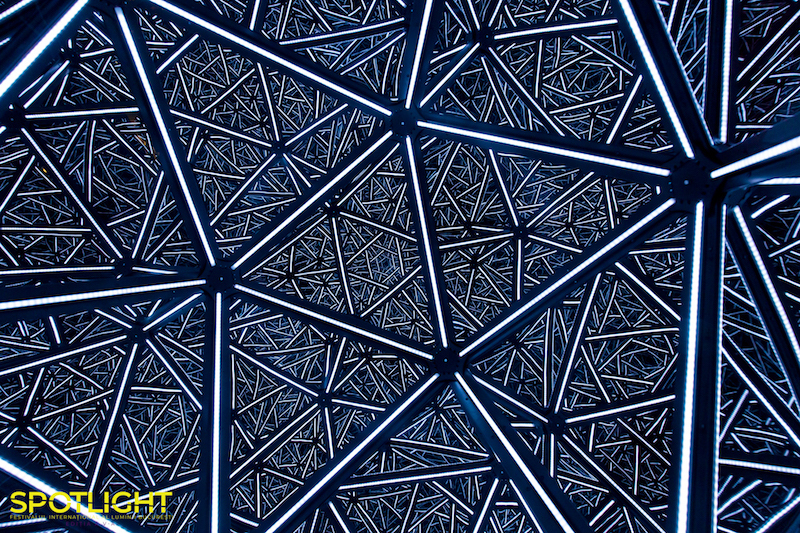 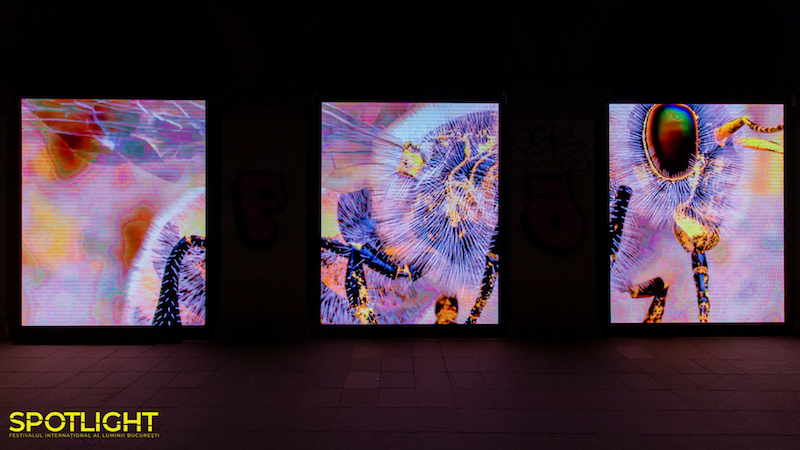 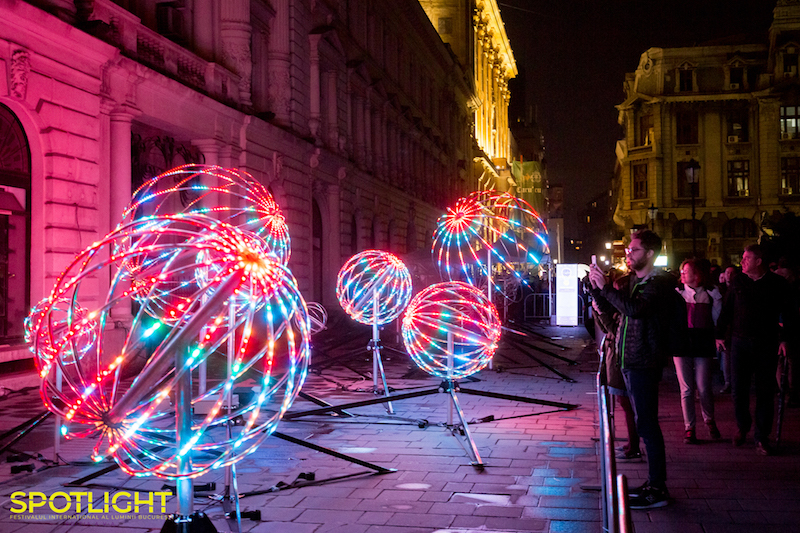 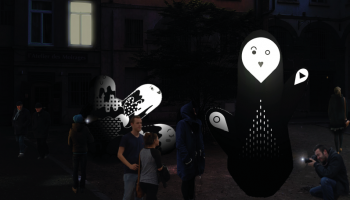 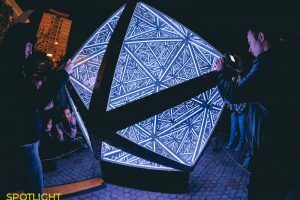 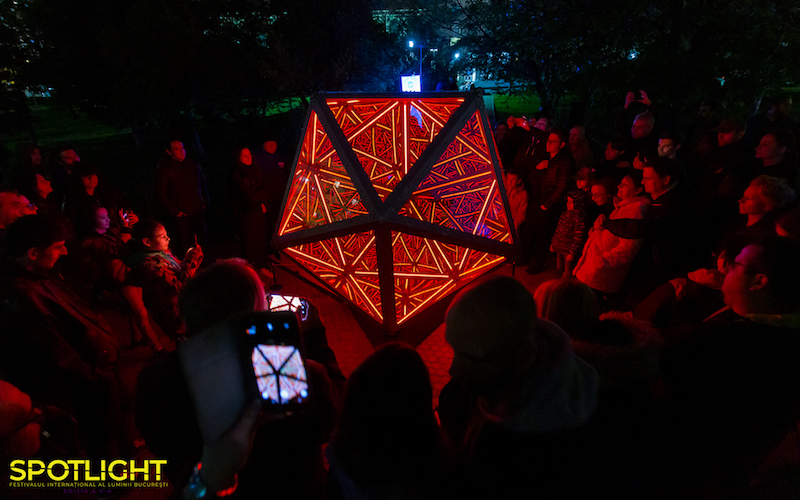 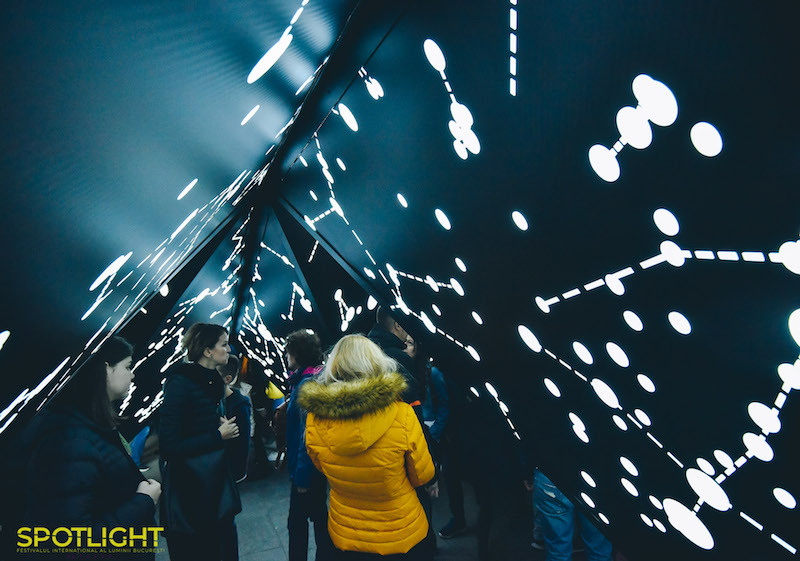 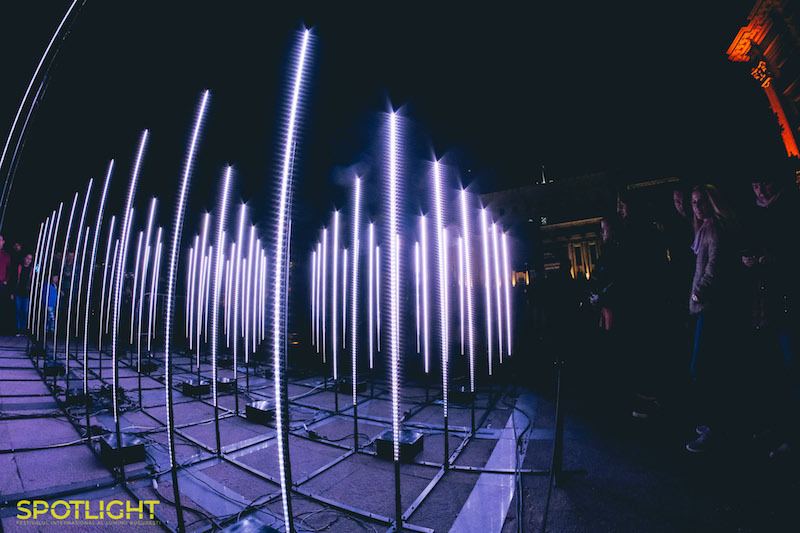 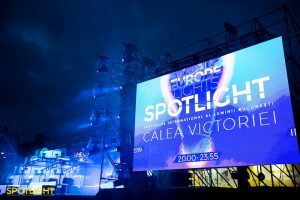 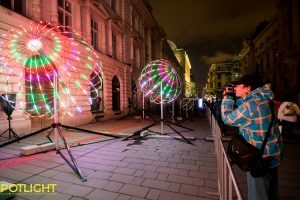 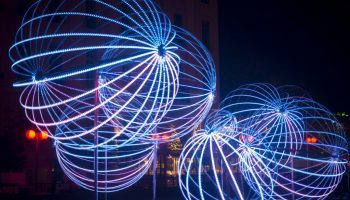 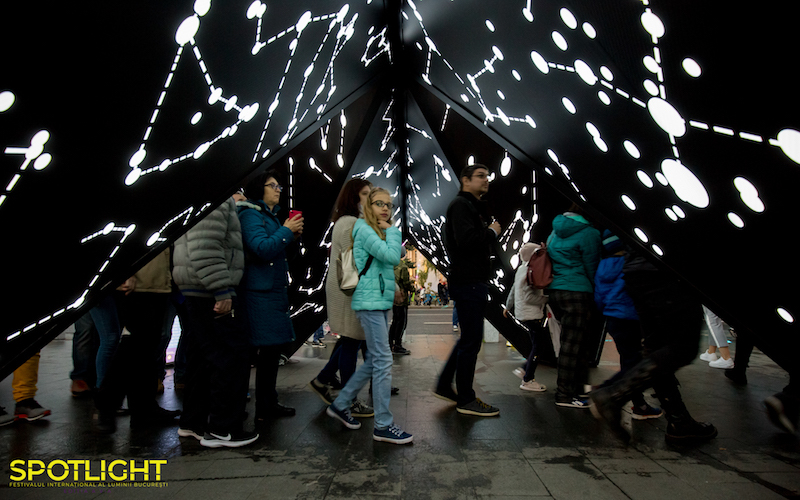 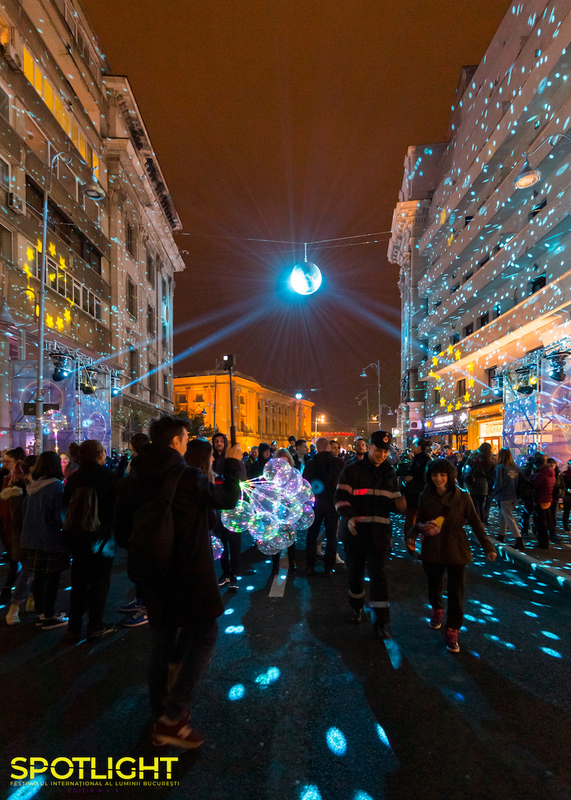 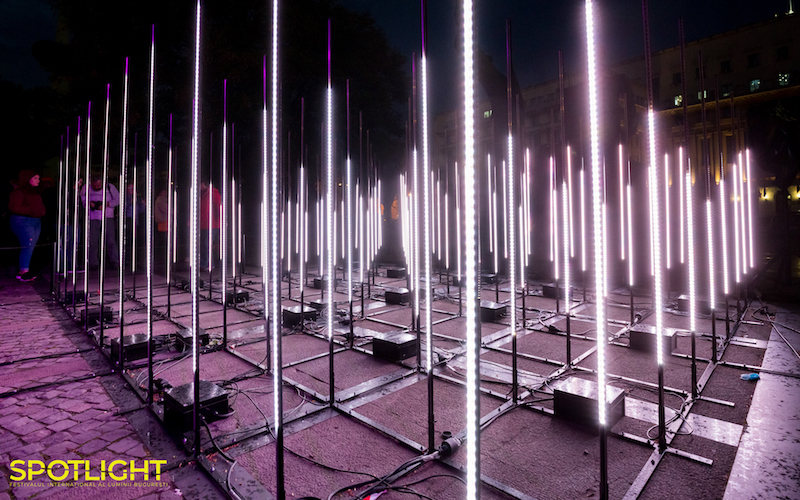 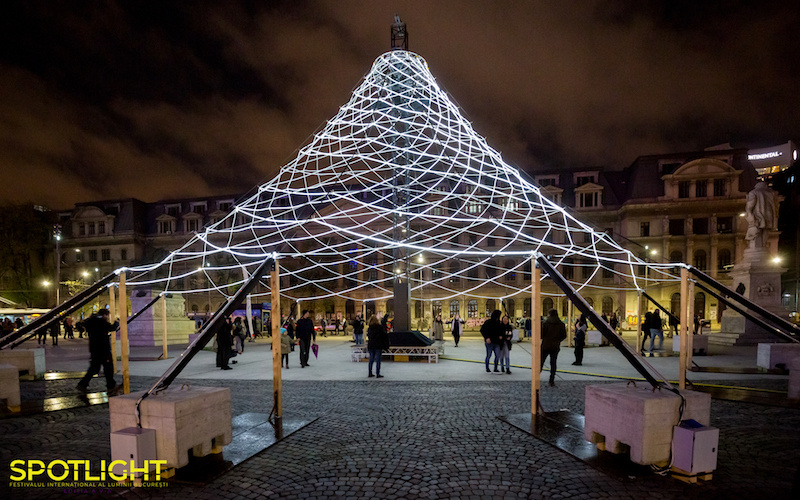 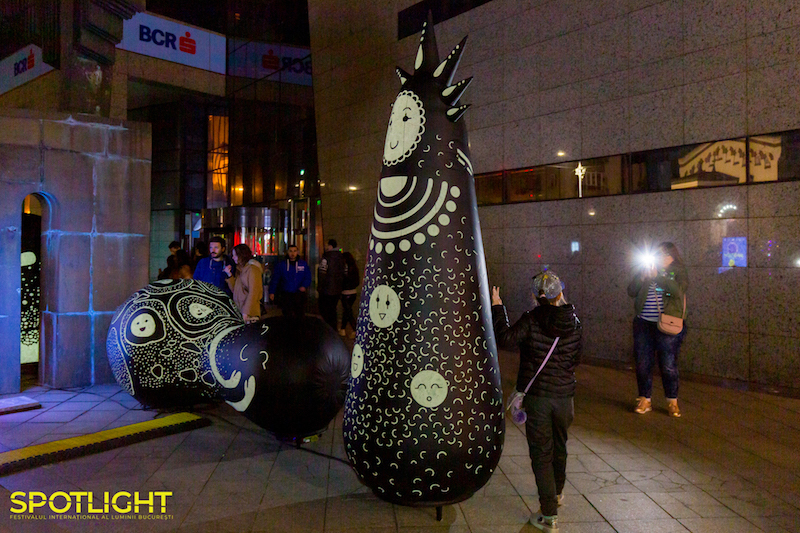 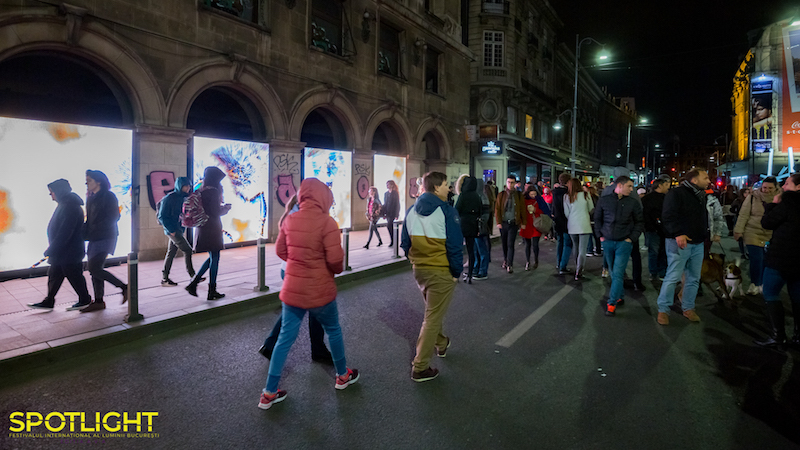 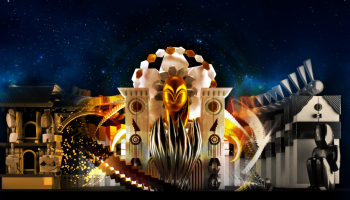 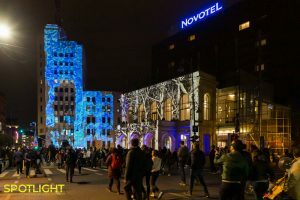 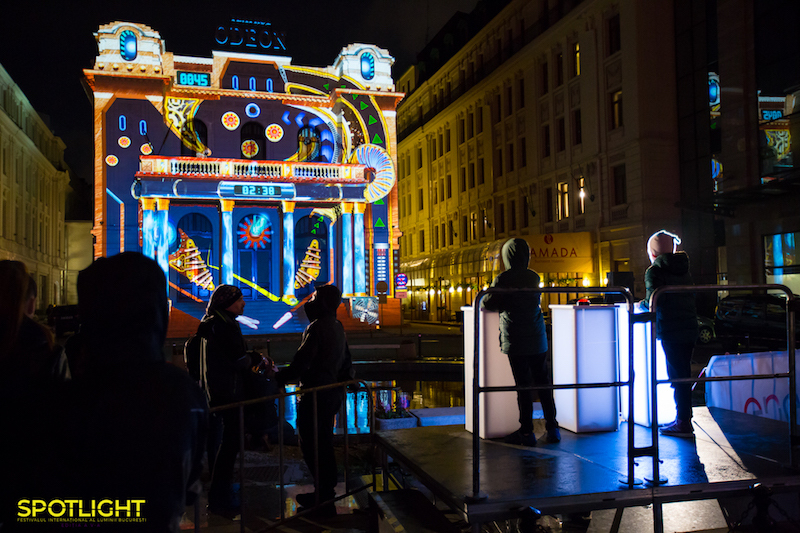 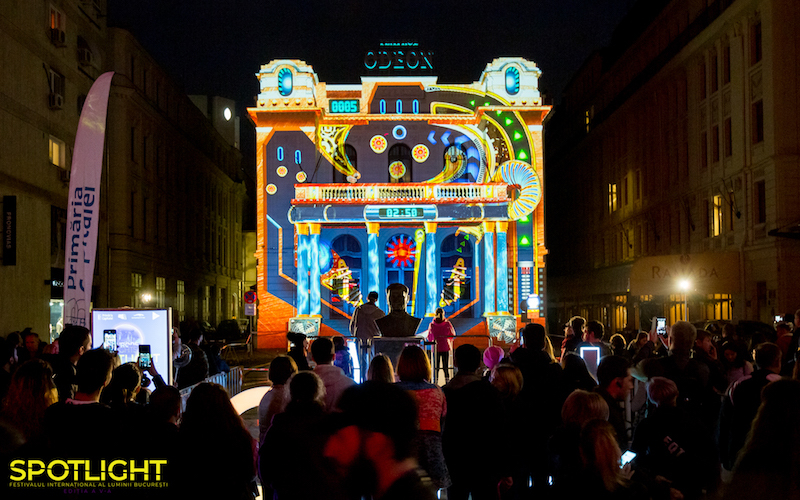 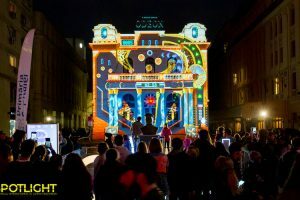 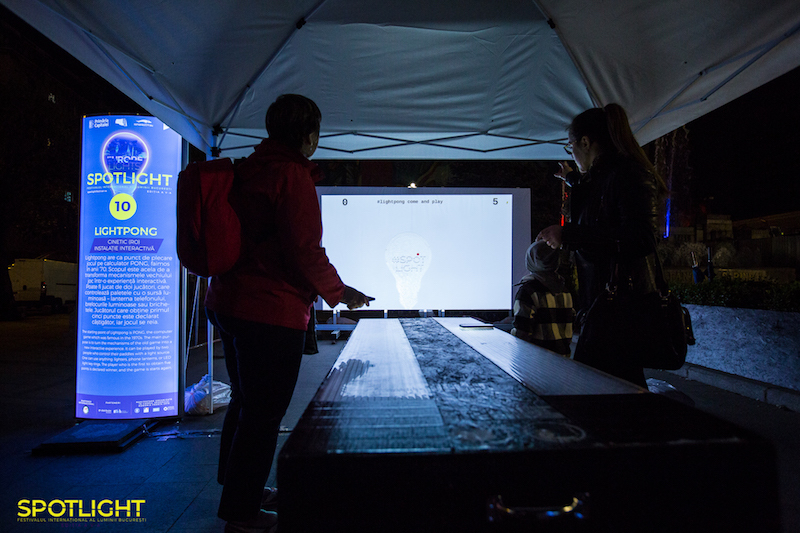 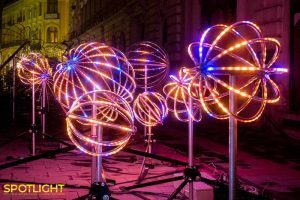 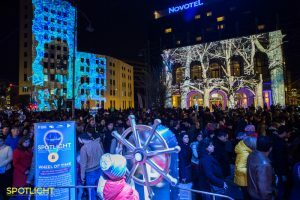 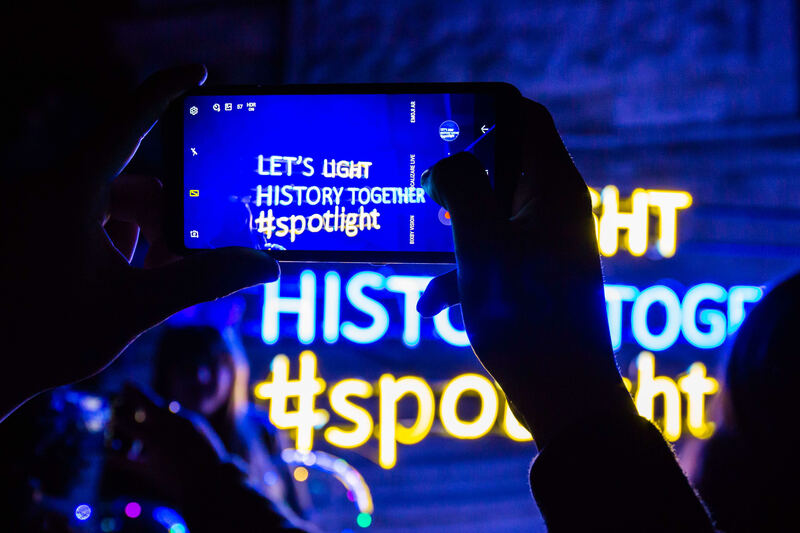 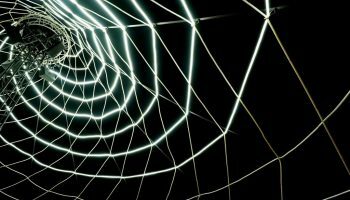 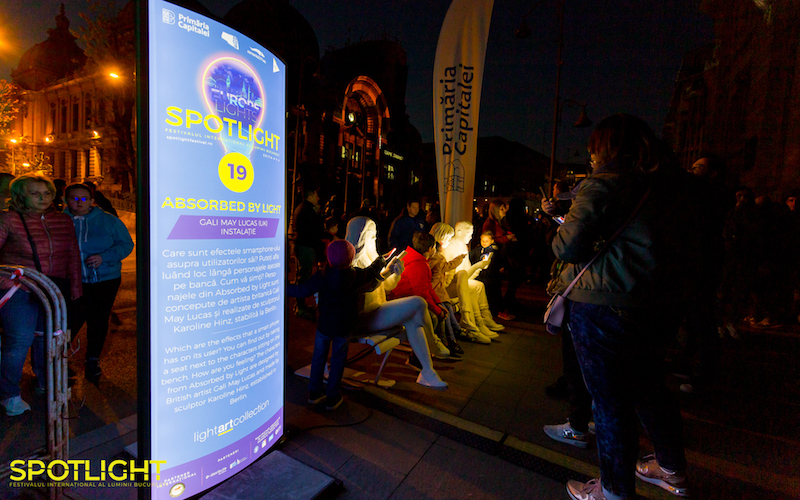 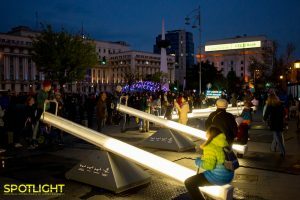 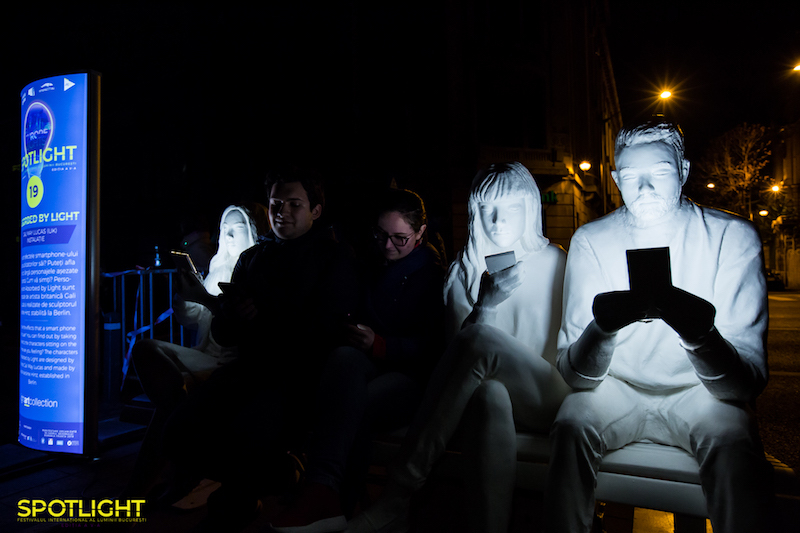 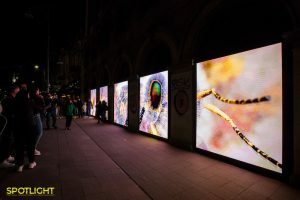 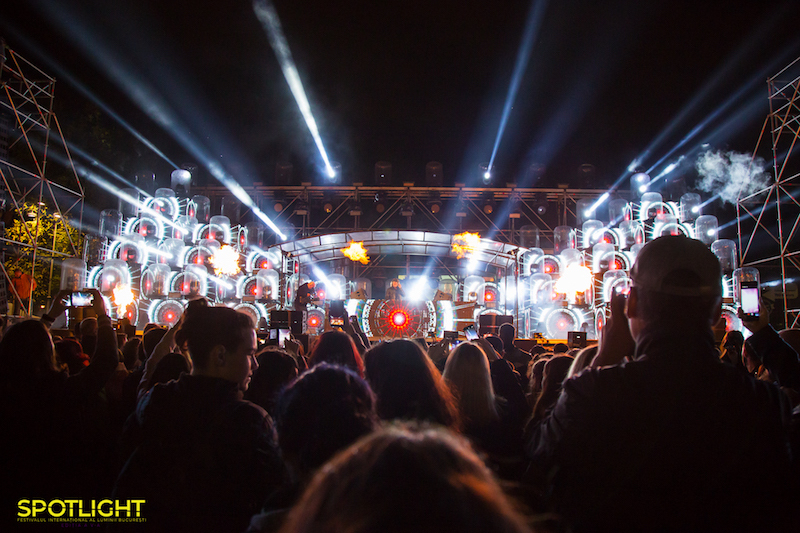 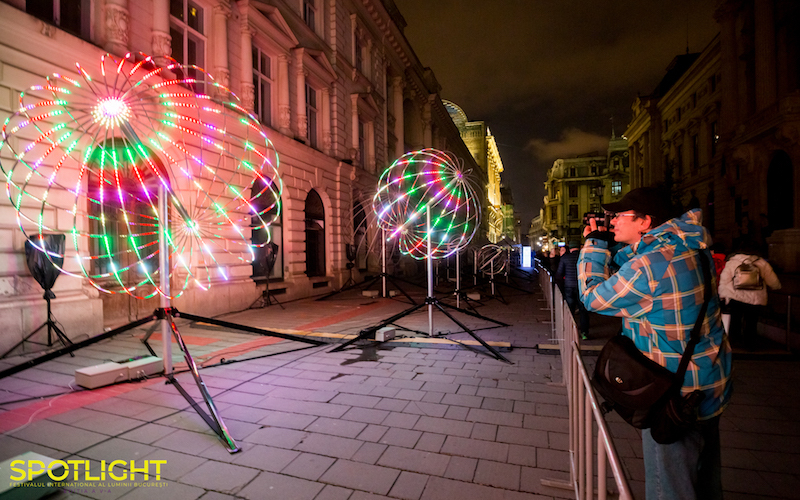 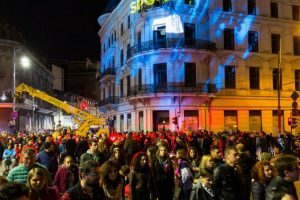 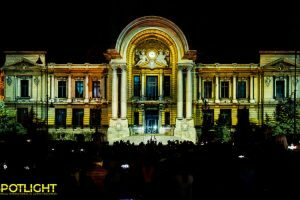 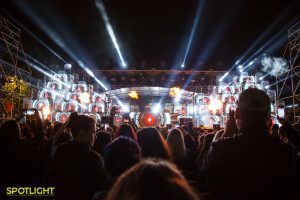 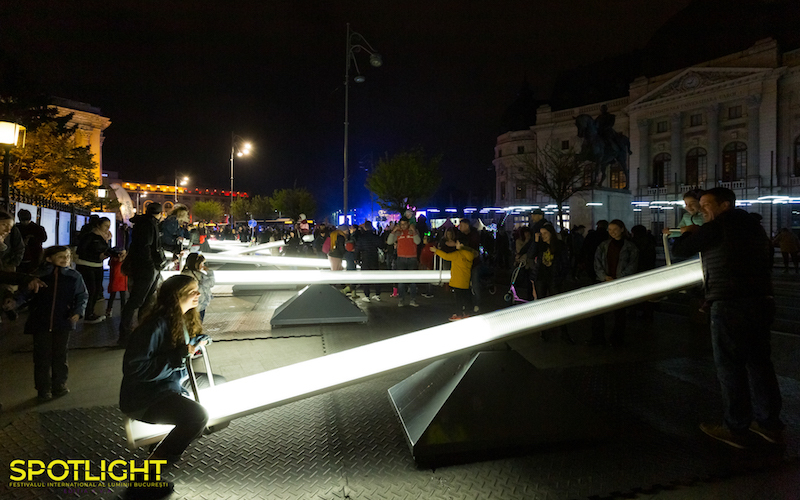 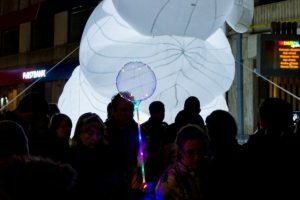 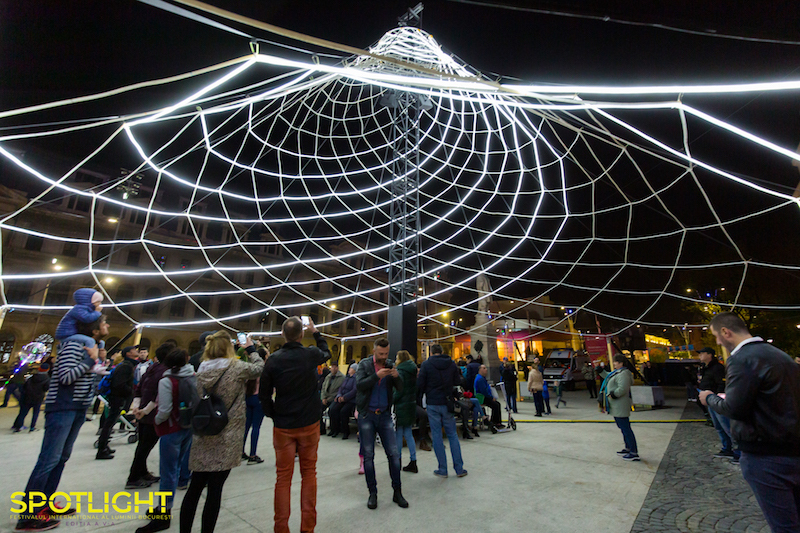 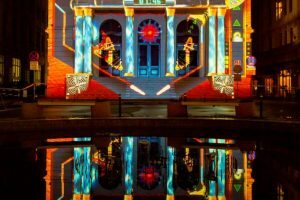 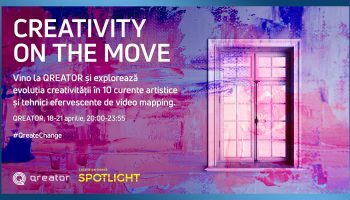 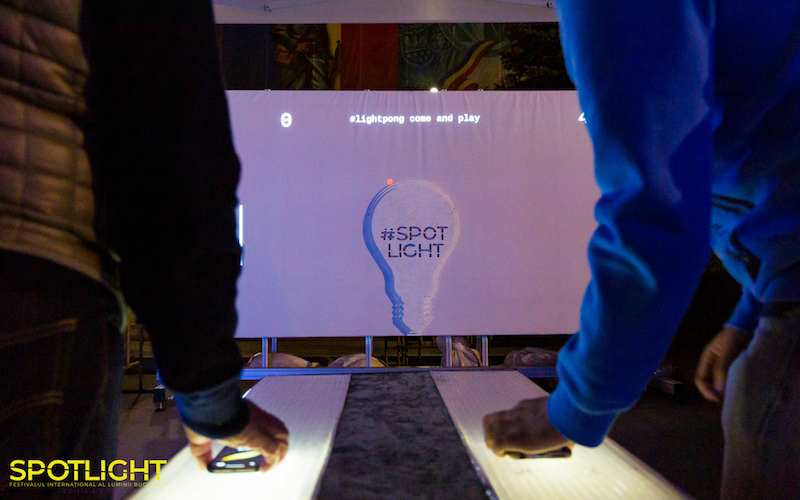 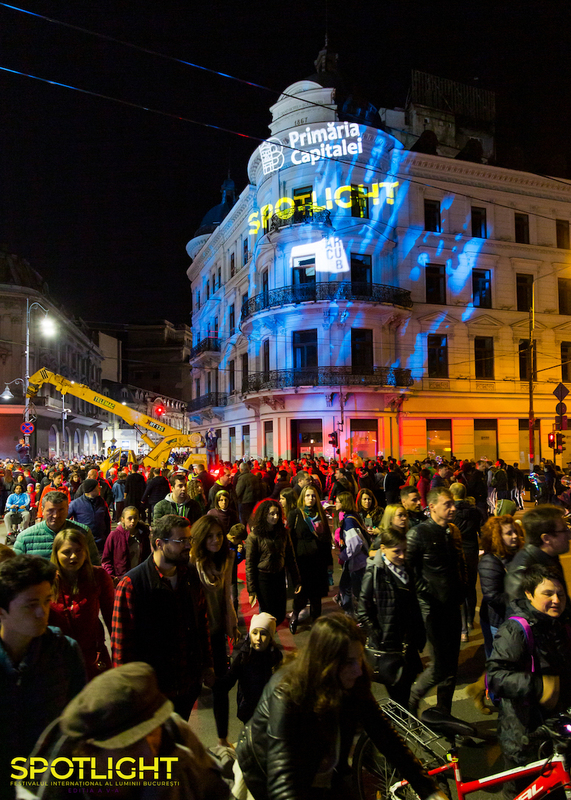 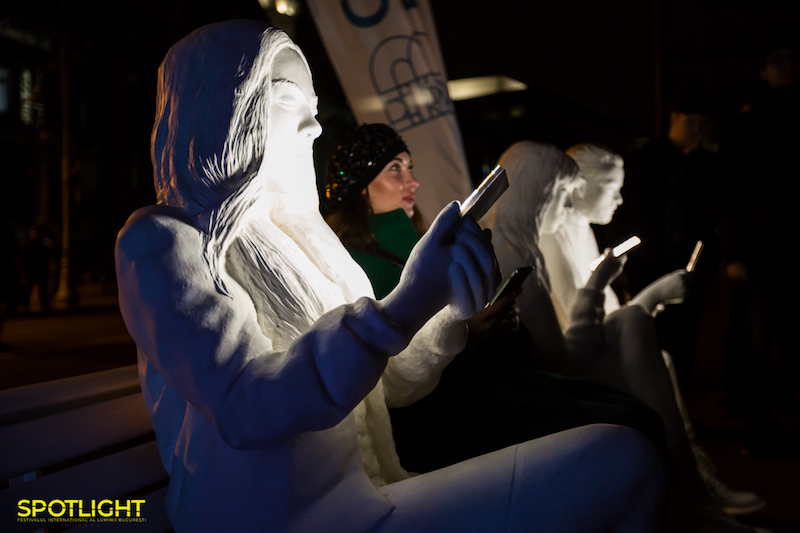 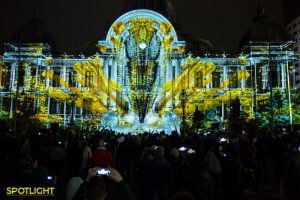 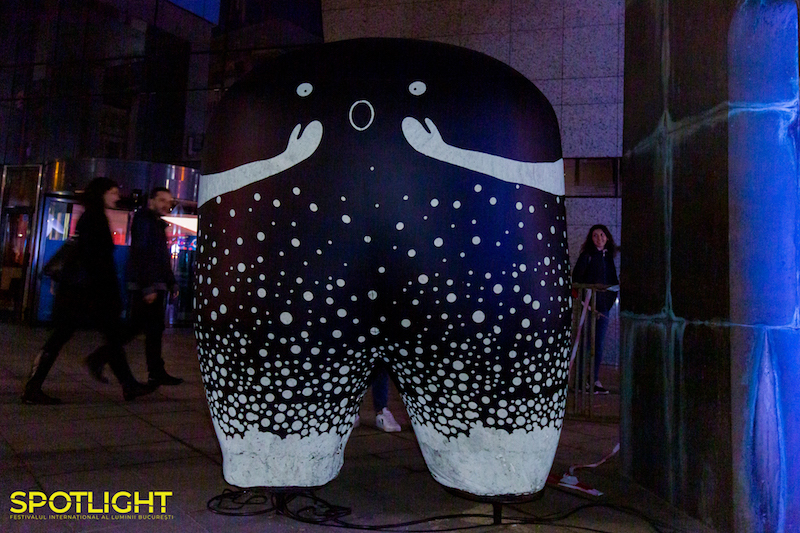 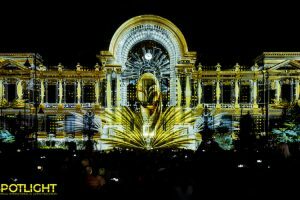 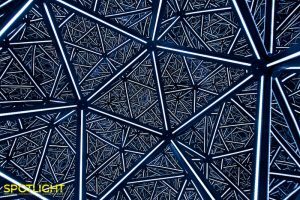 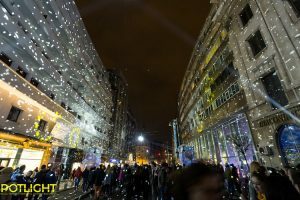 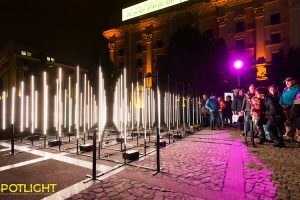 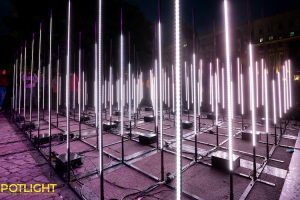 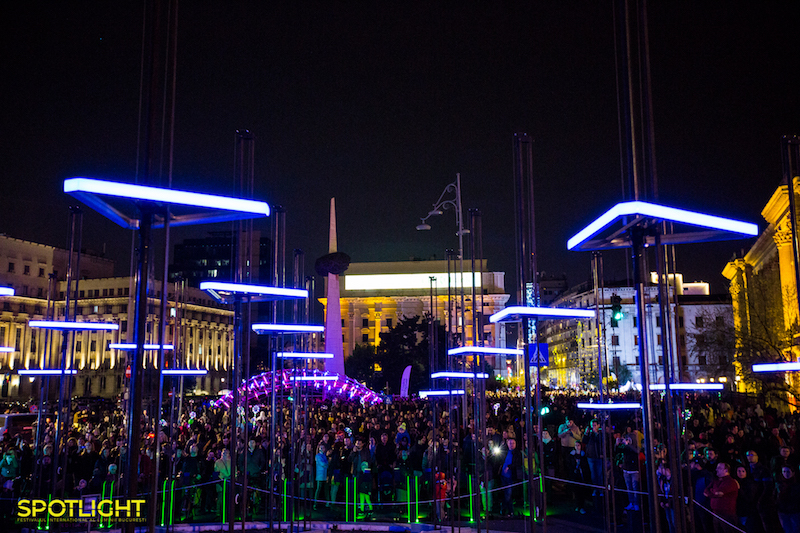 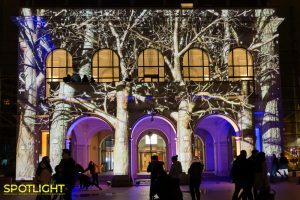 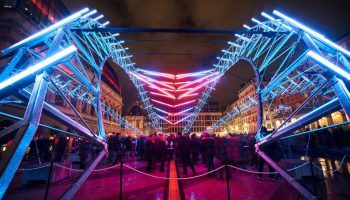 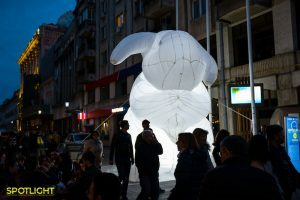 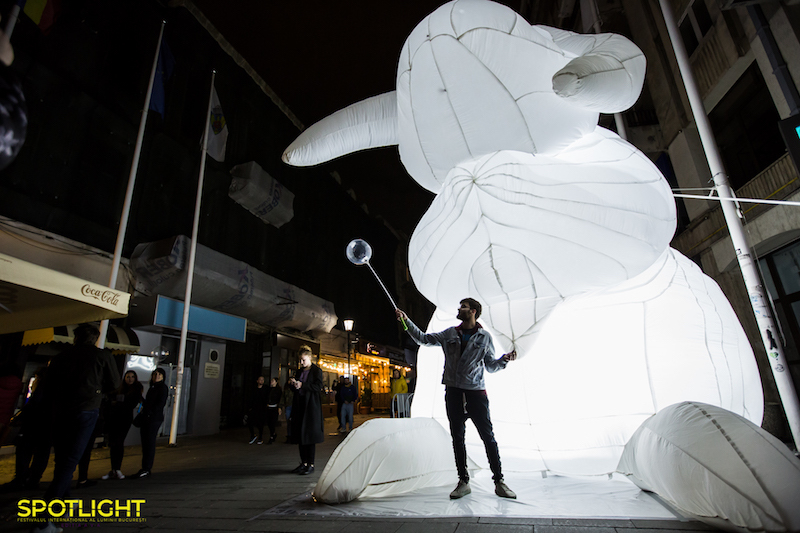 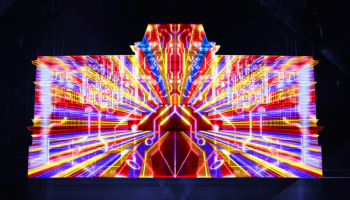 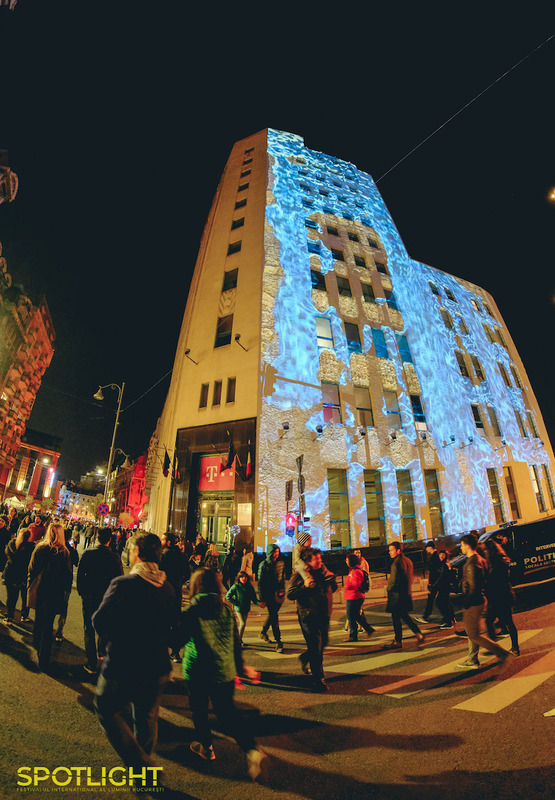 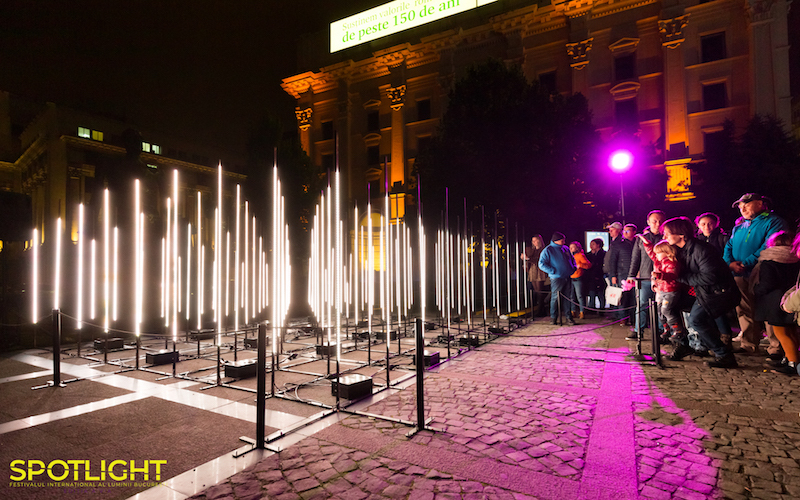 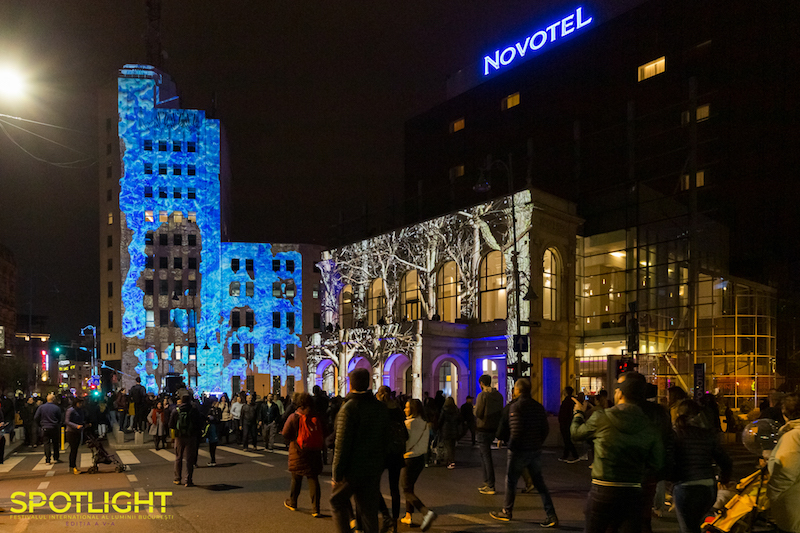 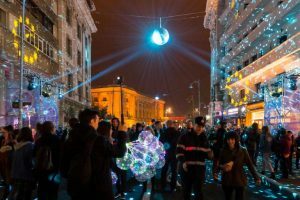 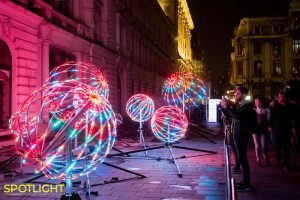 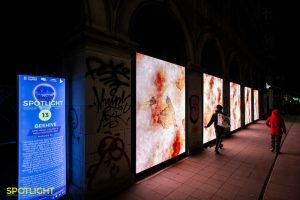 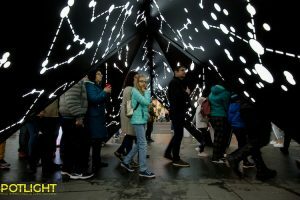 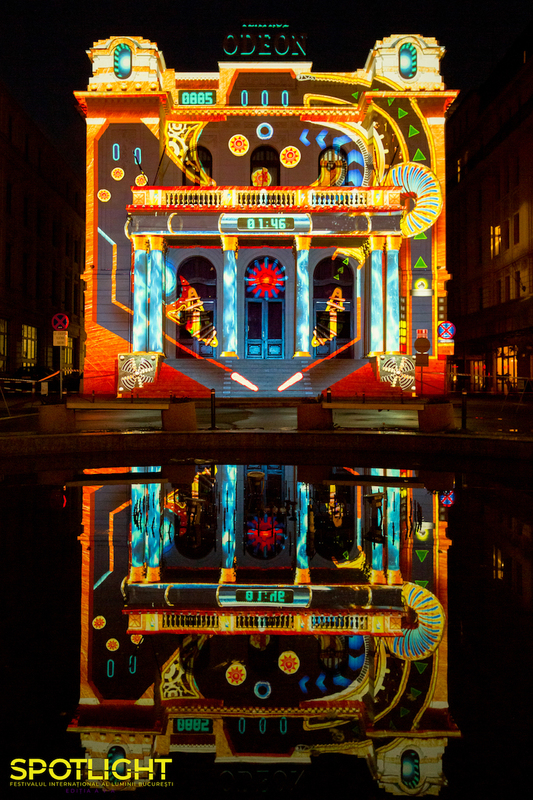 In 2019 Spotlight – Bucharest International Light Festival will take place between the 18th and the 21st of April, on Calea Victoriei (between the Romanian Athenaeum and the Square of the United Nations). 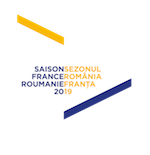 This edition of the festival will mark two major events of the year: the Romanian Presidency of the Council of the European Union and the opening of the Romania-France Season in Bucharest, events which will be reflected in the theme of this edition, entitled: EuropeLights. 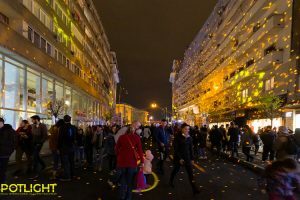 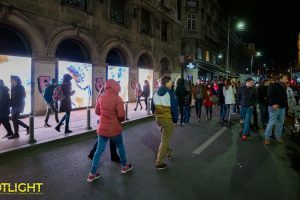 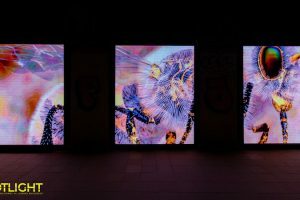 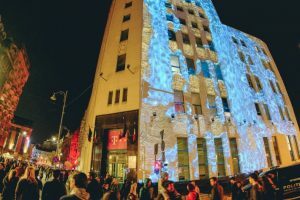 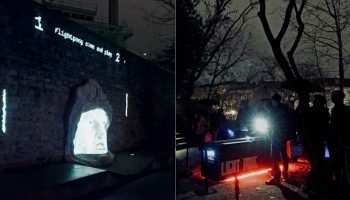 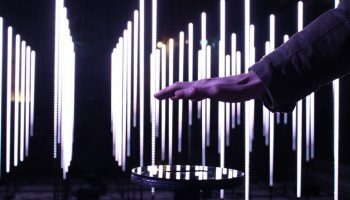 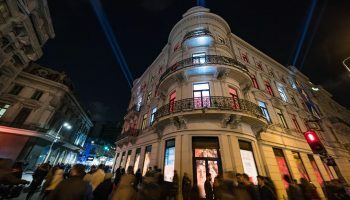 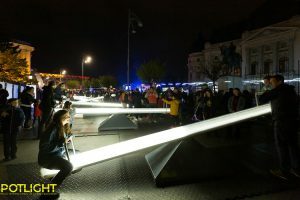 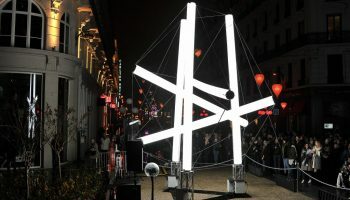 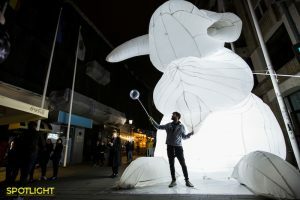 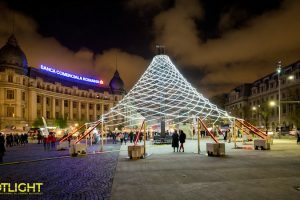 The artistic director, the curator of the fifth edition of the festival organized in Bucharest is the director and producer of Fête des Lumières – Lyon, Jean-François Zurawik. 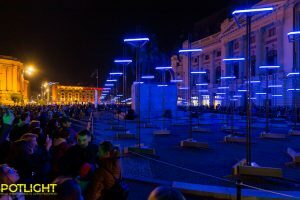 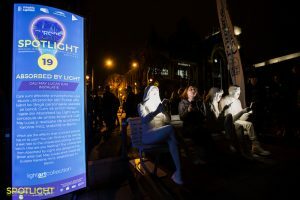 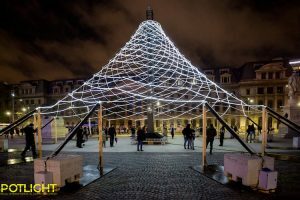 The theme of this edition – EuropeLights – is meant to celebrate the role that Romania will be playing in Europe throughout this period both in its capacity as a country that will hold the presidency of the Council of the European Union for six months and as the protagonist of the Romania-France Season; it will include light installations created by local and international artists, which will turn the city into a digital art exhibition. 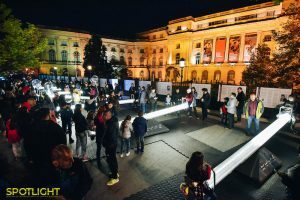 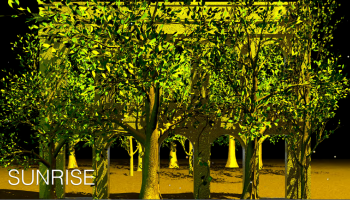 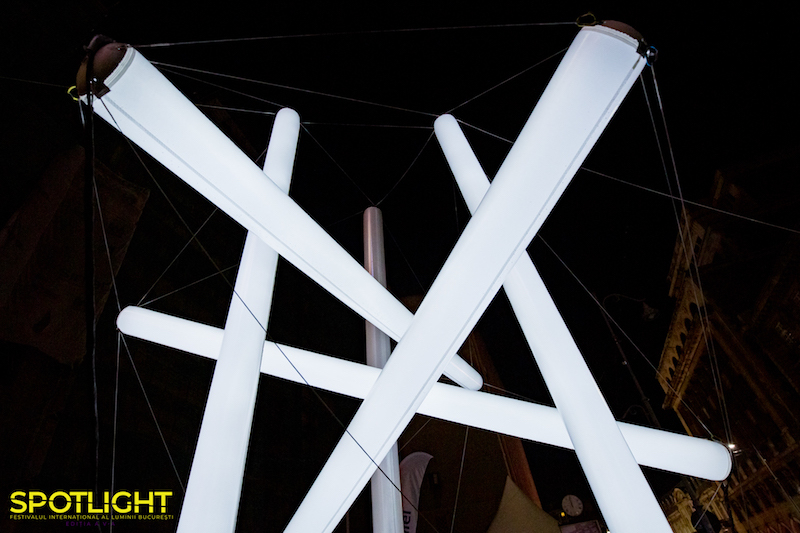 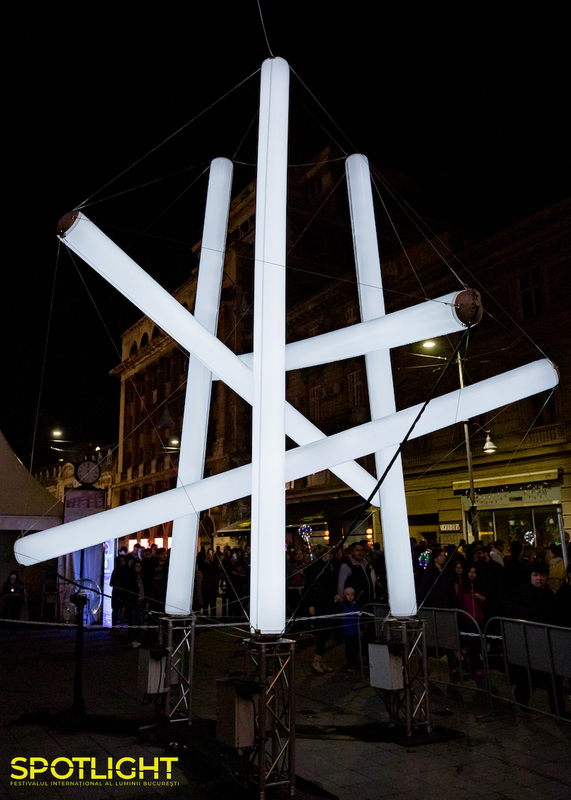 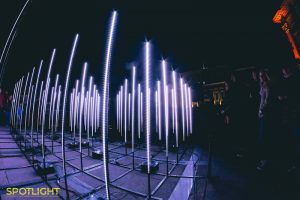 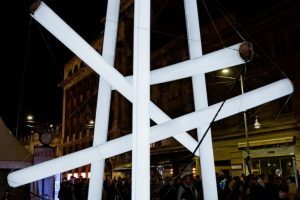 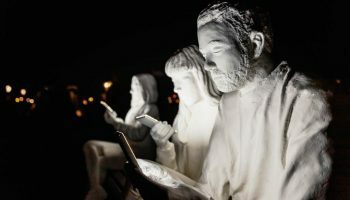 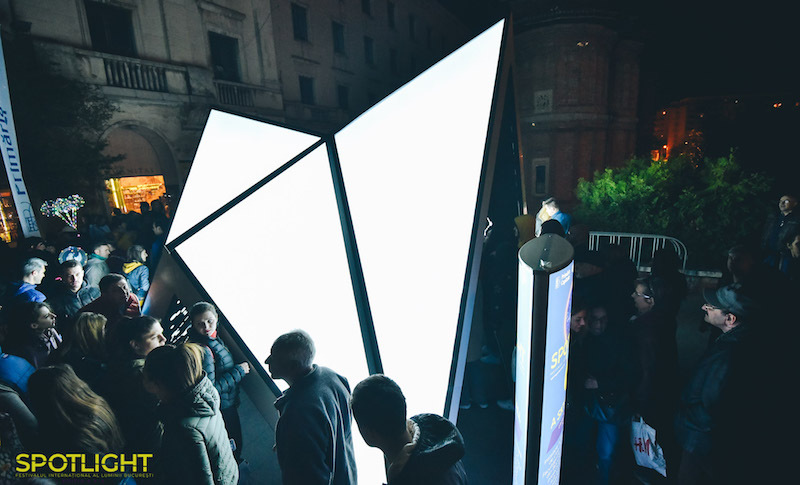 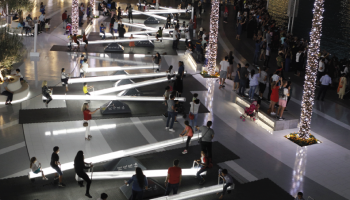 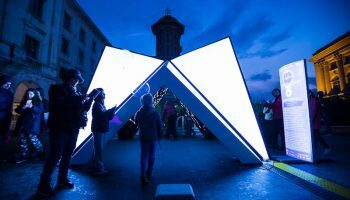 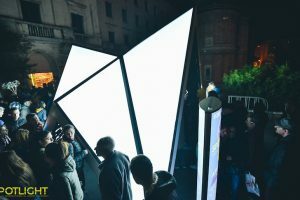 Through the installations that make use of light in a creative way, the theme EuropeLights is meant to capture a series of relevant characteristics related to the European identity. April 18, 2019 @ 8:00 pm	– April 21, 2019 @ 11:55 pm	 Central University Library "Carol I"
April 18, 2019 @ 8:00 pm	– April 21, 2019 @ 11:55 pm	 Revolution Square - Monumental Ensemble "Iuliu Maniu"